Vinegar is a popular dietary supplement and home remedy used to prevent and treat a variety of symptoms. While there is no evidence that suggests that vinegar kills or destroys carbohydrates, it may have a beneficial affect on carbohydrate absorption and insulin sensitivity in the body. For best results, talk to your doctor before adding vinegar to your daily diet. According to the Medscape General Medicine website, vinegar is made from fermentable carbohydrate sources such as apples, pears, berries, wine, molasses, dates, honey, beer, beets, potatoes, malts, grains and whey. During the process of fermentation, the natural carbohydrates and sugars are transformed into alcohol, giving the vinegar its potent and sour effect. Medical writings dating to the late 18th century link the use of vinegar to a variety of conditions and ailments, ranging from stomachaches and dropsy to poison ivy and croup. 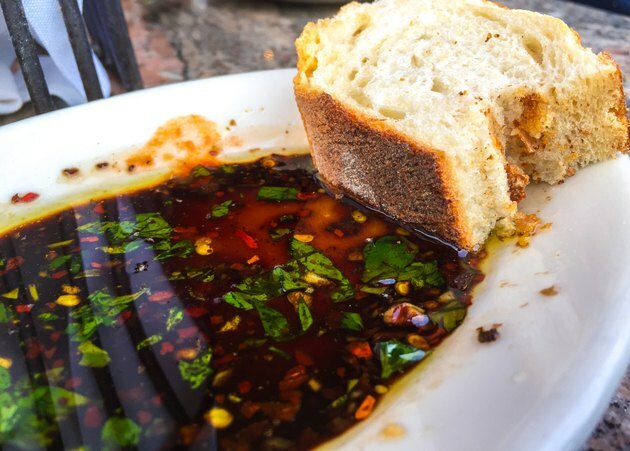 A study published in a 2004 issue of “Diabetes Care” linked the consumption of vinegar with improved insulin sensitivity during the digestion of a high-carbohydrate meal. In other words, vinegar may slightly improve your body’s ability to process carbohydrates into glucose. As your body begins to digest carbohydrates from your meal, the pancreas secretes insulin to help trigger glucose absorption in the blood, allowing your blood sugar levels to remain stable. Individuals with insulin resistance require higher levels of insulin in order to maintain a steady trickle of blood sugar, and may be at risk for developing type 2 diabetes. Despite vinegar’s benefits to insulin sensitivity, additional studies are required in order to recommend it as a home remedy for diabetes. According to a study published in a 2009 issue of “Nutrition Research,” vinegar instigates a number of antiglycemic effects that slightly affect the body’s ability to absorb carbohydrates. Aside from its impact on insulin sensitivity, vinegar may also suppress disaccharidase activity and interact with the conversion of blood sugar into glycogen deposits. The study, which involved regular consumption of vinegar and mashed potatoes, found a slight rise of glucose in the blood of patients who consumed vinegar instead of the placebo. As a result, it is highly unlikely that vinegar would play a destructive role on the carbohydrates themselves, as opposed to affecting the body’s ability to digest them. Vinegar is highly acidic and may irritate your throat or stomach if consumed in large amounts. According to MayoClinic.com, some types of vinegar, such as apple cider vinegar, can interact with insulin, diuretics and other drugs. Talk to your doctor before taking vinegar. MayoClinic.com: Apple Cider Vinegar For Weight Loss: Effective?